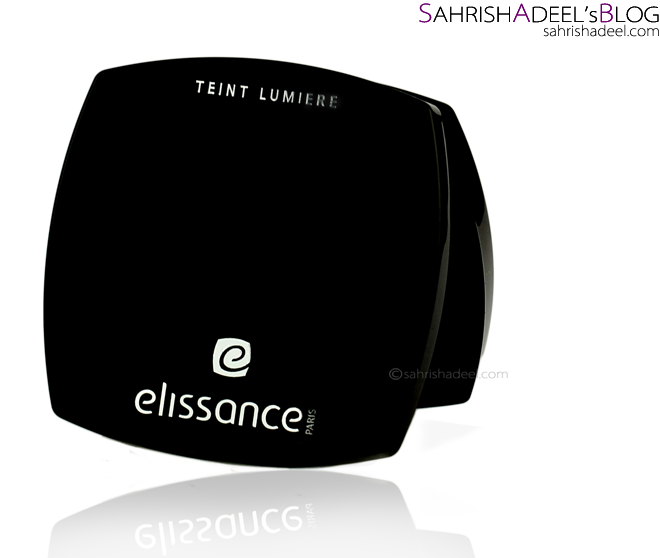 Teint Lumière by Elissance Paris - Review | Sahrish Adeel - Malaysia based Pakistani Beauty & Lifestyle Blogger! Where foundation is a very important step to create awesome canvas for your creations, it can also be a tricky product to choose. Many people struggle for years before they find that perfect one. Let's see if Teint Lumière by Elissance Paris has the ability to become that perfect one for you. Using cutting edge innovations, the Teint Lumière compact powder-base foundation adjusts to your skin tone and thoroughly hides imperfections. Its silky-textured properties blend seamlessly to give a matte and perfectly natural look. Its synergic combination of essential oils and organic mineral filters provides comprehensive protection against harmful UV light and free radicals. Paraben-free and SPF 10, we assure only the safest ingredients to achieve magnificently healthy, youthful skin. Glowingly fresh and beautifully luminous like the first morning rays! This product comes in a sturdy plastic compact with a mirror and a sponge. It contains 7.5 grams of product and the shade I got is No 2 - Beige Dore; a shade suitable for wheat-ish skin tones. This compact can be used as a tinted finishing powder using a fluffy brush to give yourself a natural yet even tones look and as a foundation, it works well using a damp sponge. If used without a damp sponge, the coverage would not go from sheer to medium and if you will try to layer it, it will look cakey so damp sponge is the best way to achieve medium coverage without going all cakey. The formula is easy to blend and if your skin is exfoliated, you are good to go. But since this is a powder product, it will cling onto your dry spot and will enhance them, so either exfoliate or moisture like there isn't another day prior using the foundation for medium coverage. For everyday light use and for sheer finish, you won't need to worry about it enhancing your dry areas as it goes quite smoothly. Staying power is good if you have a primer underneath but if you won't use a primer, this foundation will start to fade away in 3-4 hours [oily skin type]. This shade is darker for me but if it would suit me, I would have kept it in my purse for touch ups on my T-zone throughout the day because the tint is great to freshen up your makeup and to cut down the oil. Overall, I am pretty happy with this product as a tinted finishing powder and also as an everyday sheer foundation but as a medium to full coverage foundation, it could not win my heart. Teint Lumière by Elissance Paris comes with a price tag of pkr 3999. Elissance Paris is available in stores in Pakistan. If you want to buy the brand online, you can buy it from BeautyArena.pk or from Elissance Paris Pakistan by filling an order form here. Join Elissance Paris Pakistan's Facebook Page for more details. - Reviews on Elissance Paris products. - Reviews on Finishing Powder.